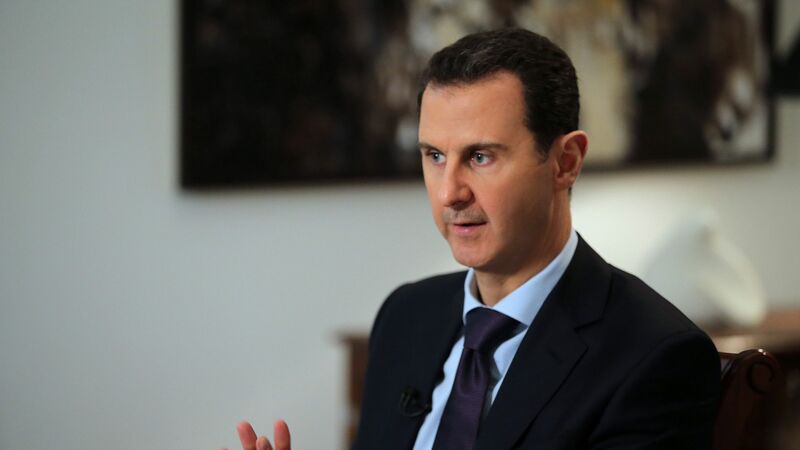 Syrian President Bashar al-Assad plans to make a state visit to Pyongyang, reports Reuters, citing a Sunday report by the North Korea's state news agency. The report didn't offer a timeline when he will do so. Why it matters: It would be the first time North Korean leader Kim Jong-un would host a head of state since he assumed power in 2011, and comes amid several other meetings with world leaders. The backdrop: Kim has now met with South Korean President Moon Jae-in on a few different occasions, and secretly met with Chinese President Xi Jinping in March. And his widely anticipated summit with President Trump in Singapore on June 12 is back on. Flashback: In February, United Nations monitors accused North Korea of shipping supplies to Syria that could be used for chemical weapons production.